Inktober #4 — "Heeeeere's Johnny!" 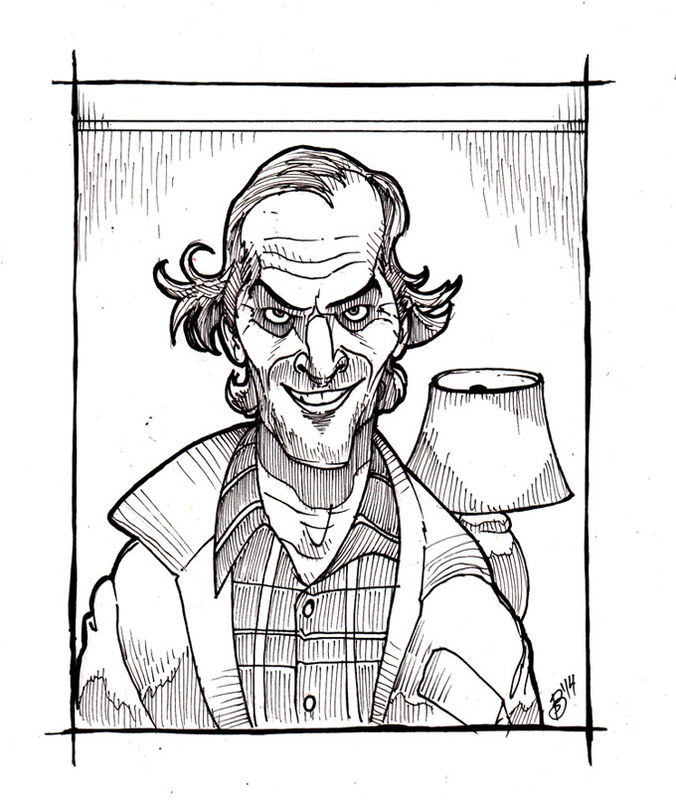 Today's Inktober picture pays tribute to poor Jack Torrance, as played by Jack Nicholson in The Shining. We like to imagine he's still hanging around the old Overlook Hotel, clicking away on his typewriter: "All work and no play makes Jack a dull boy."